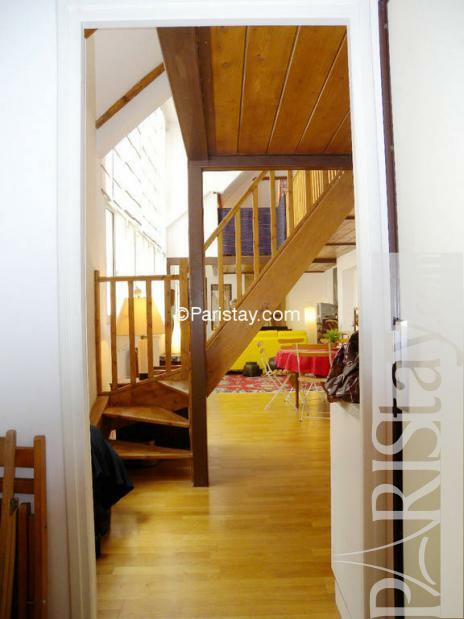 Amazing loft style Paris apartment. 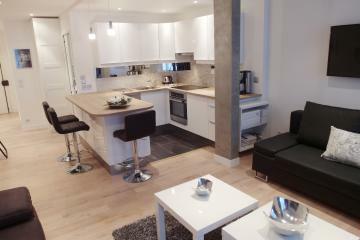 72 square meters, totally designed by an architect. From 6 to 7 meters ceilling height you will be amazed by the volume of the rooms. 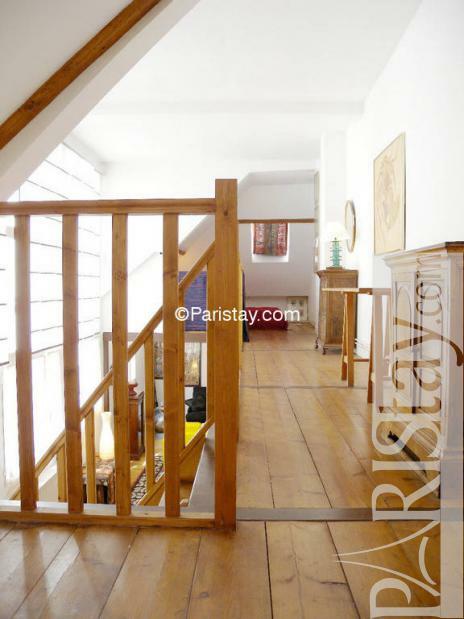 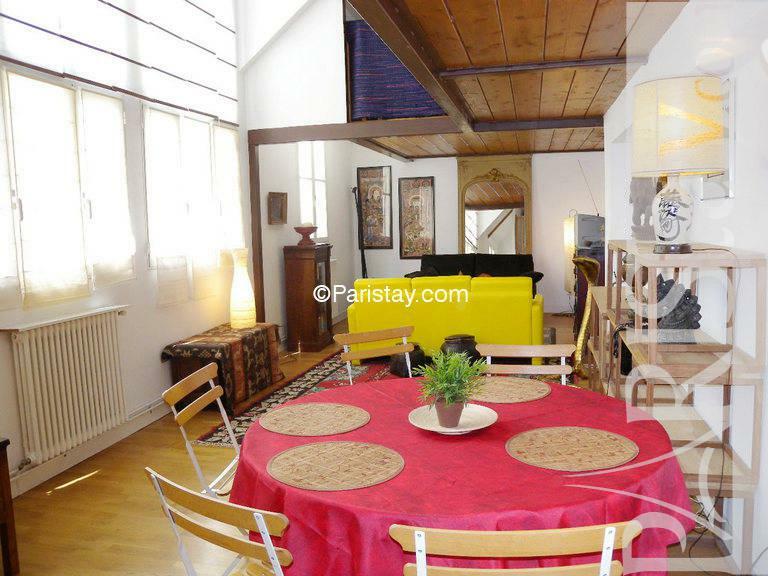 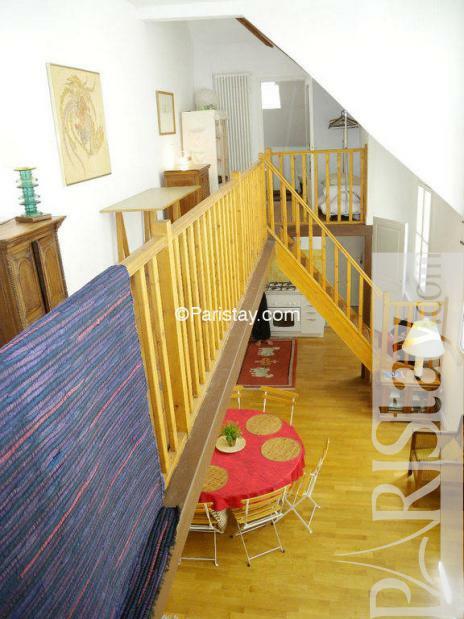 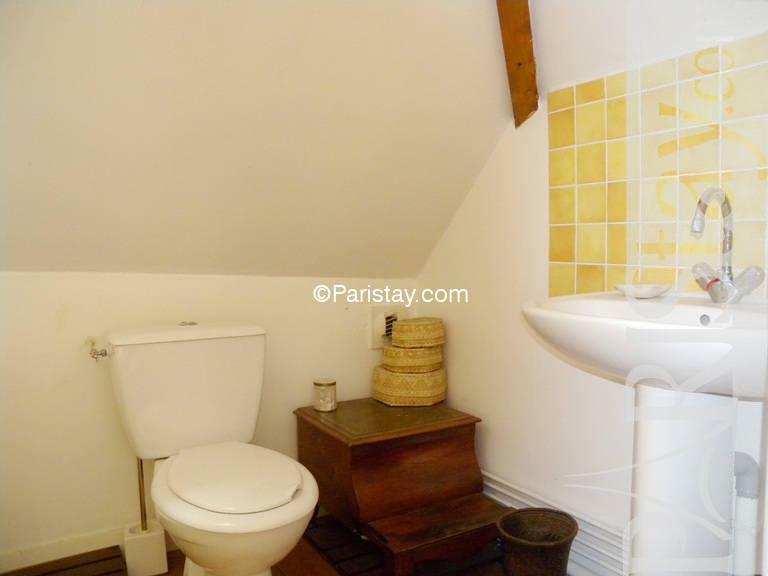 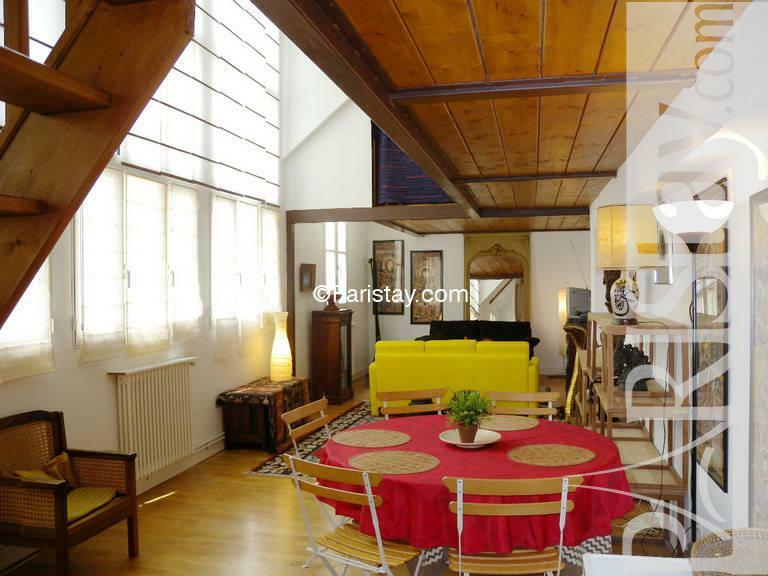 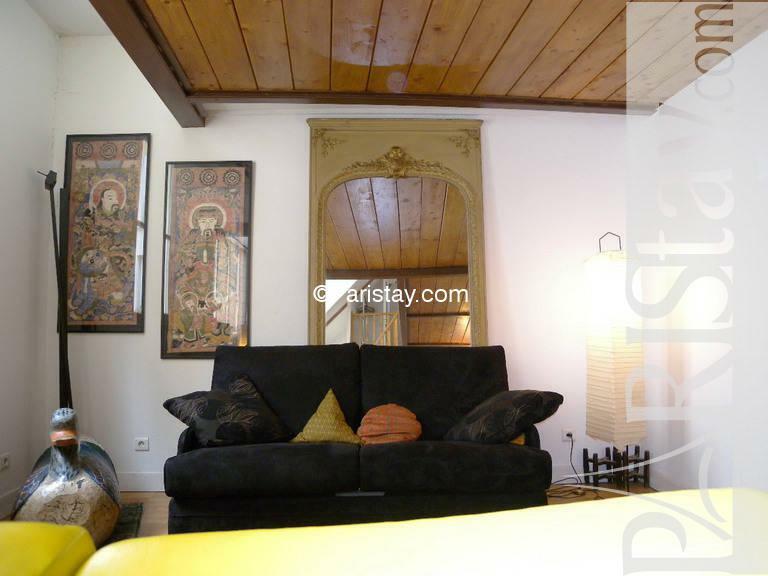 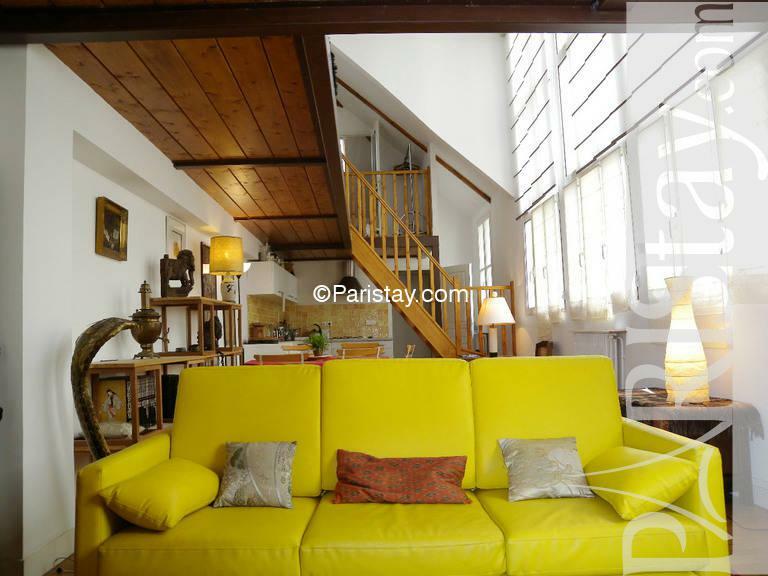 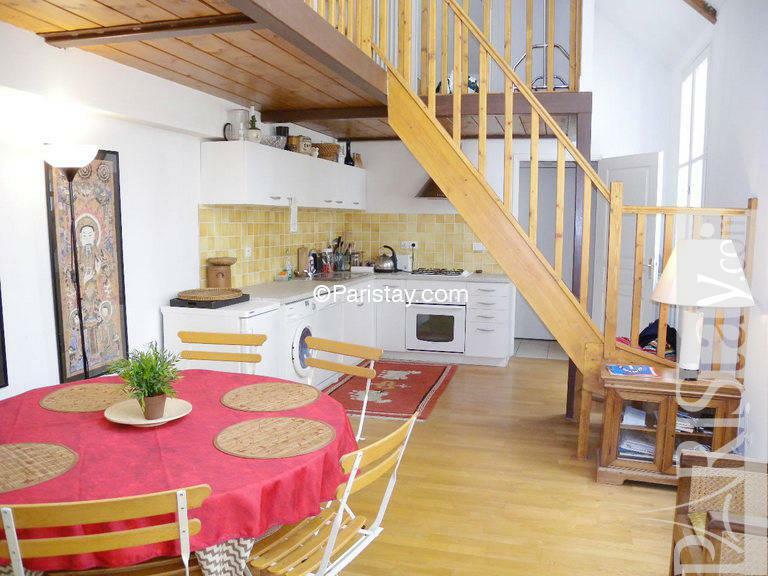 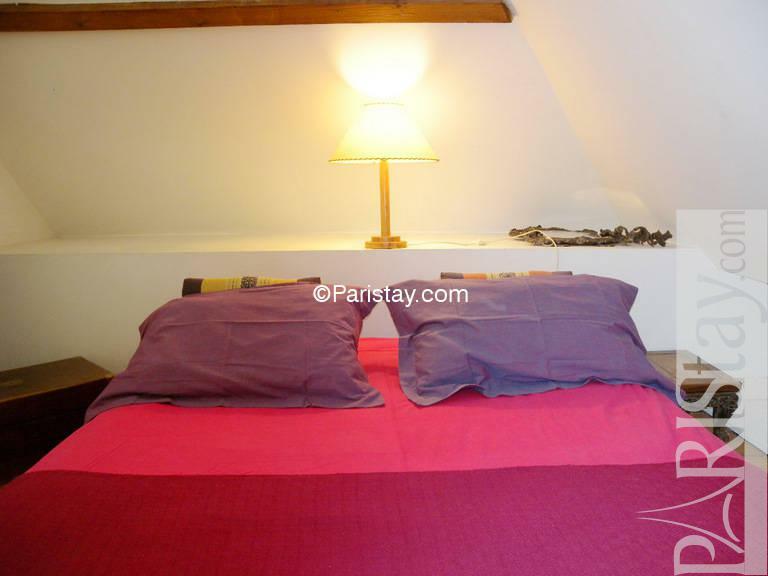 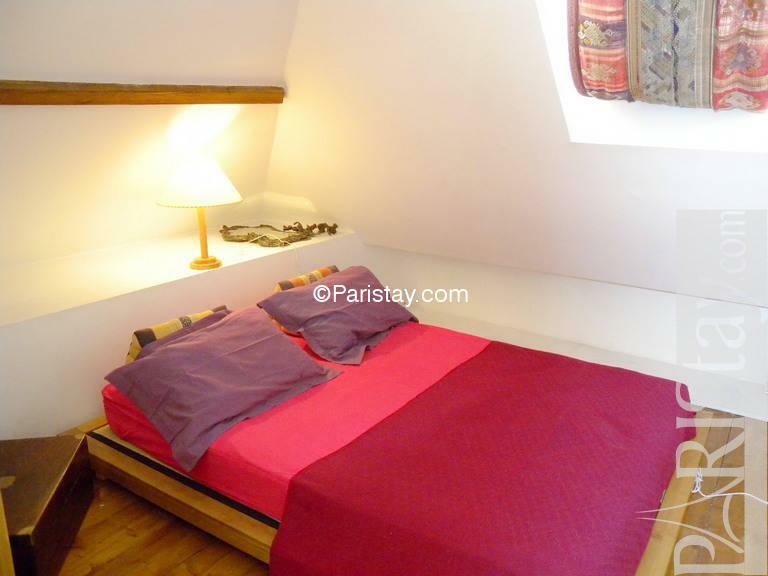 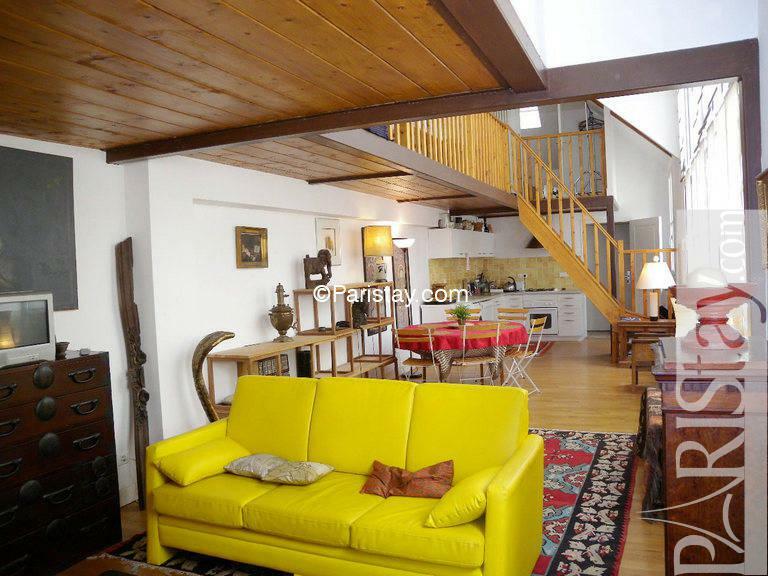 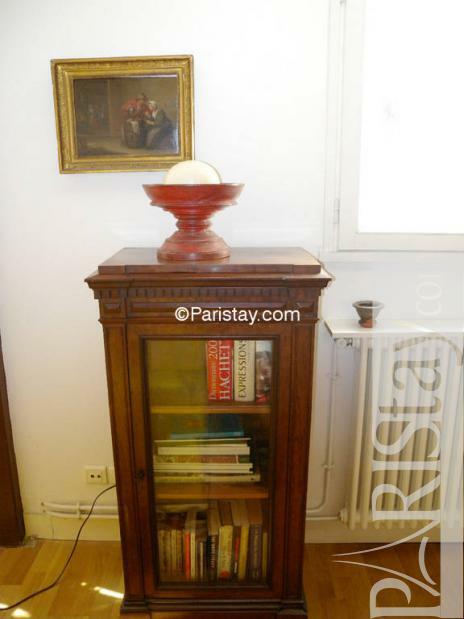 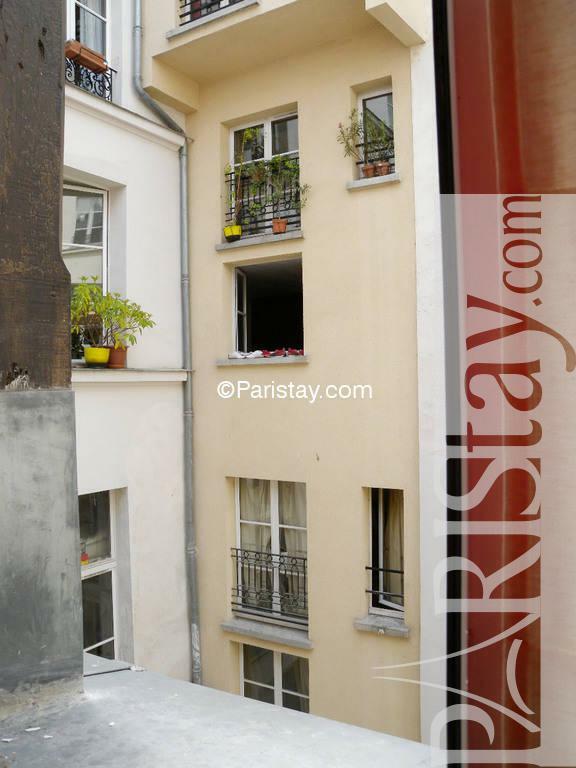 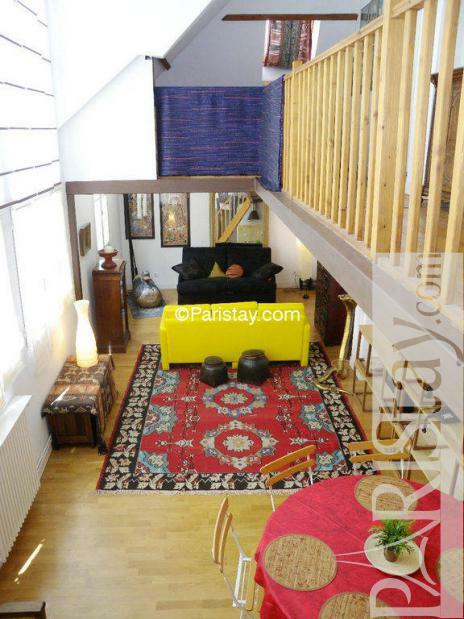 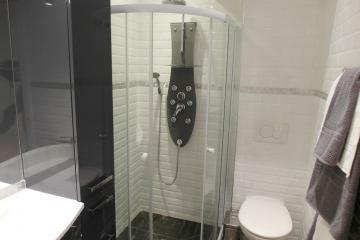 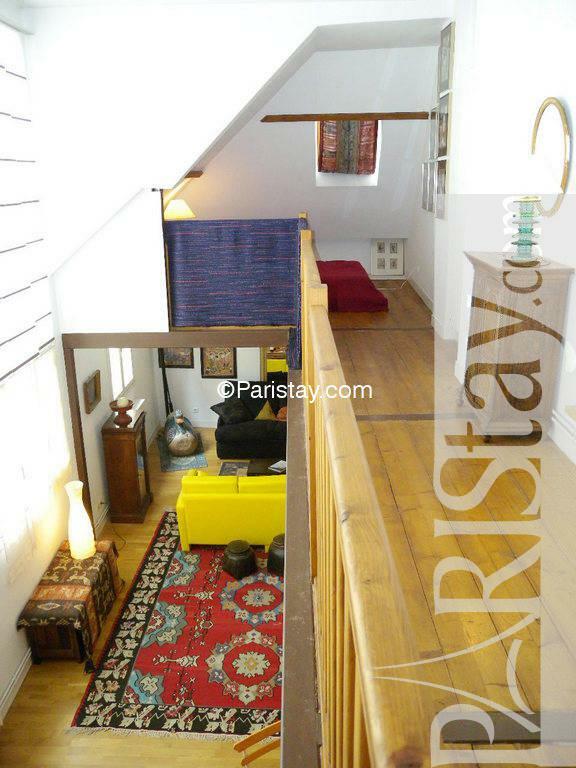 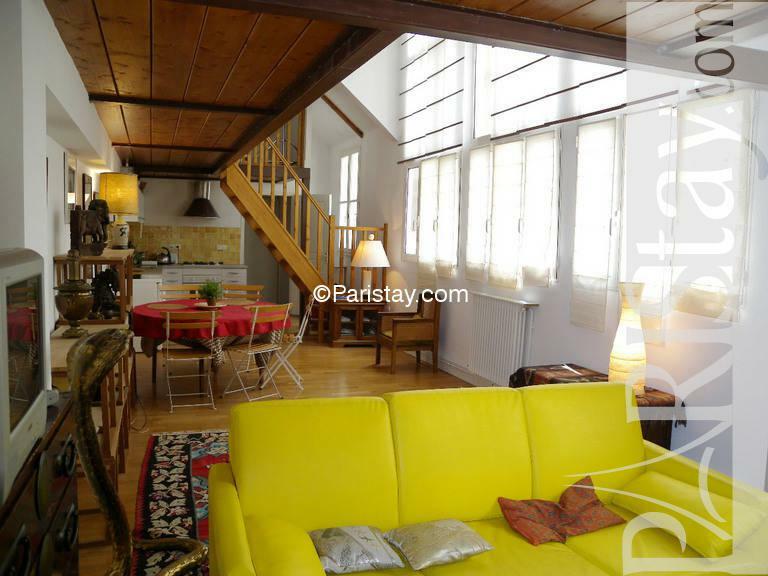 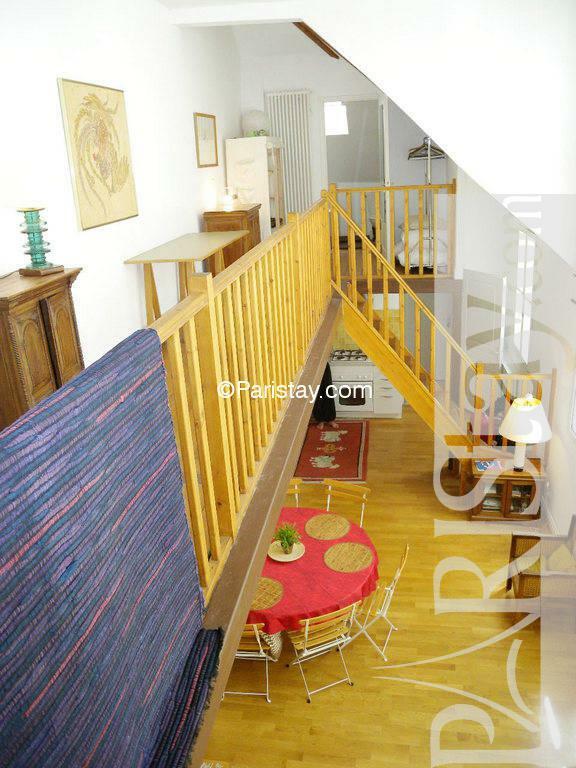 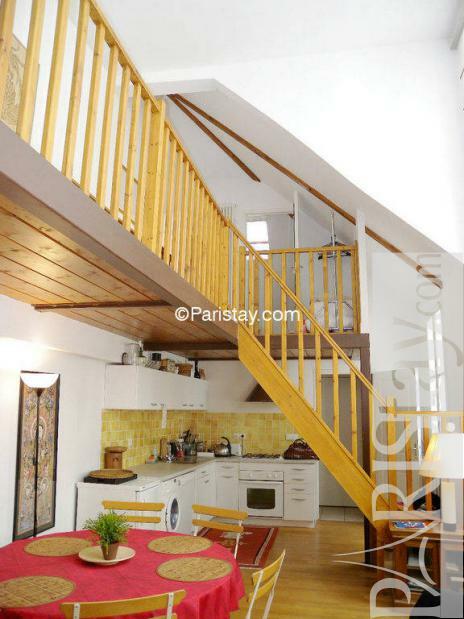 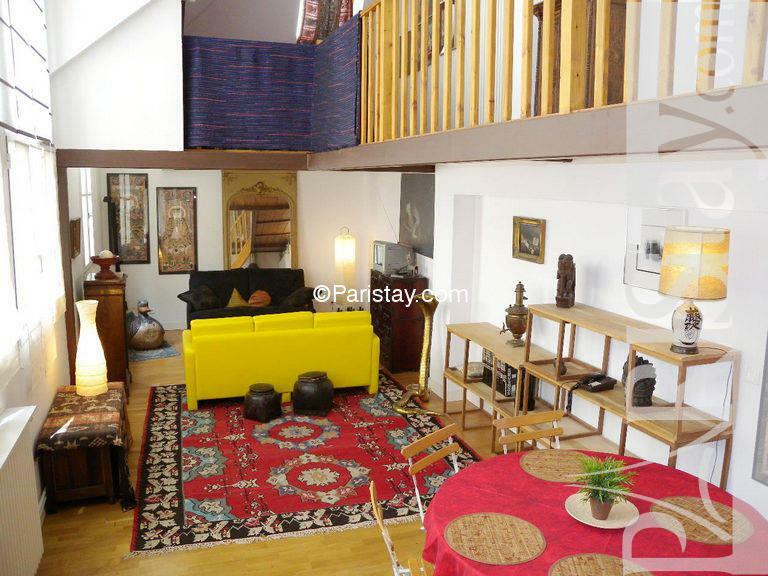 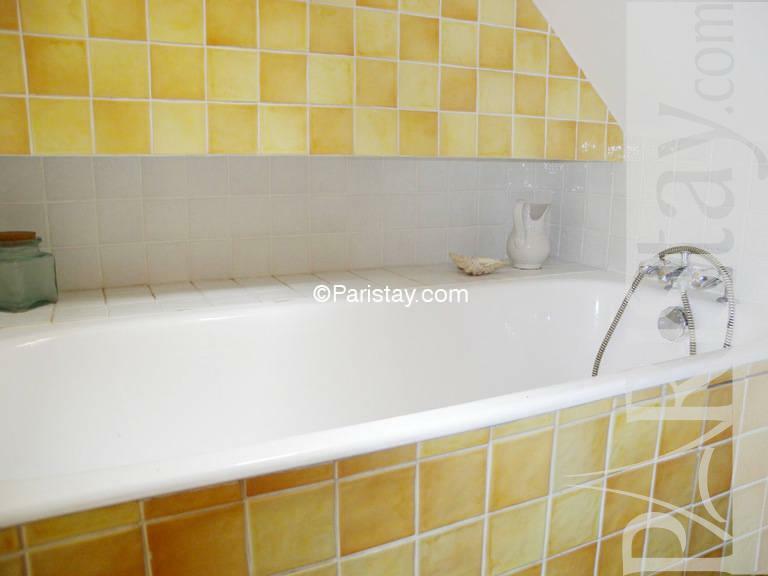 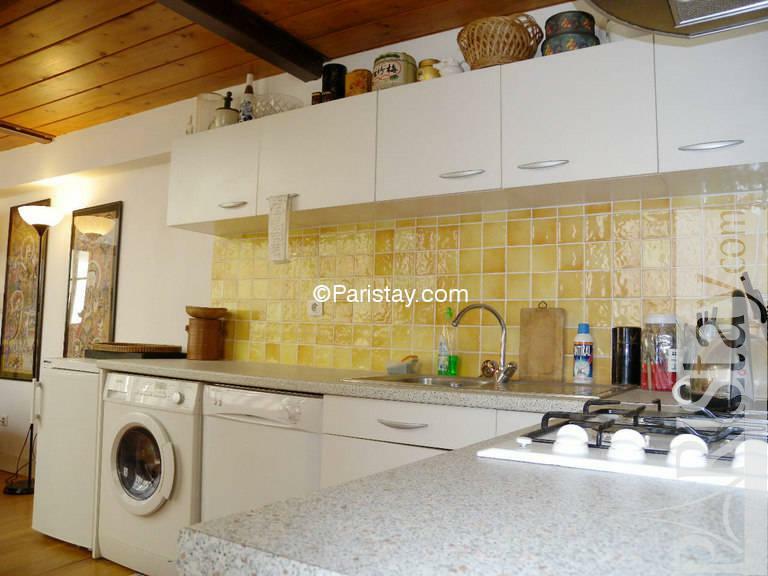 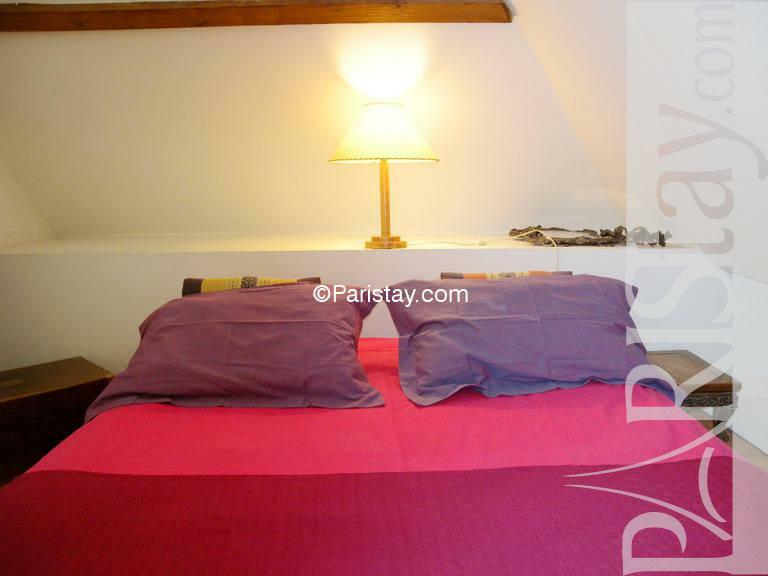 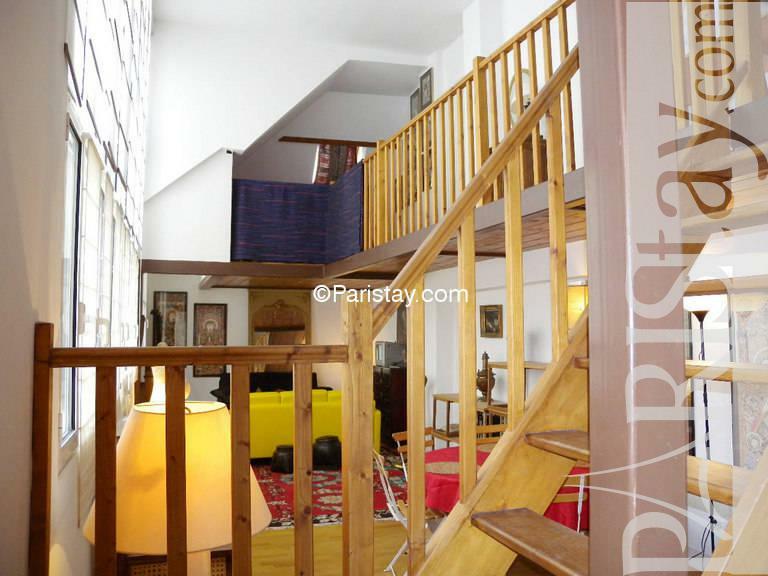 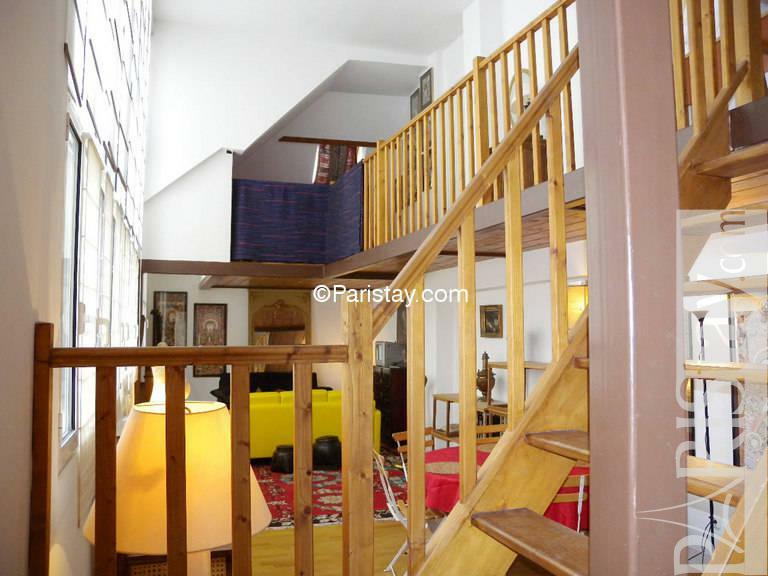 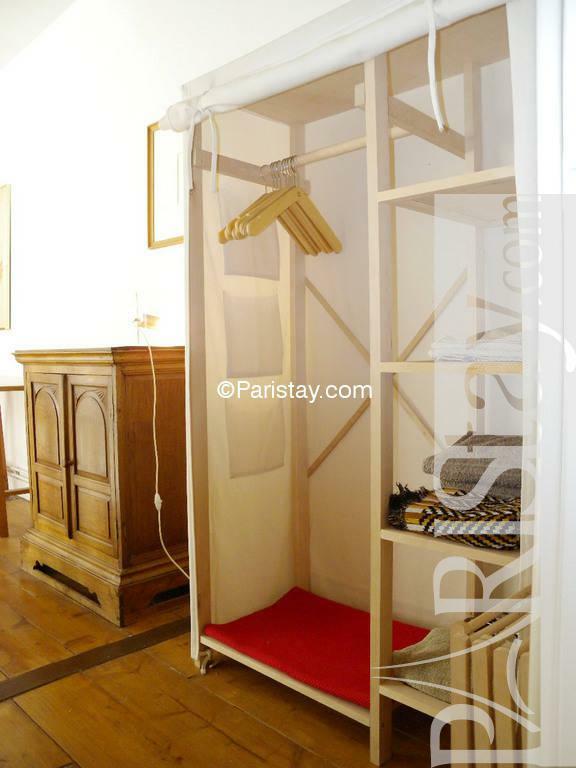 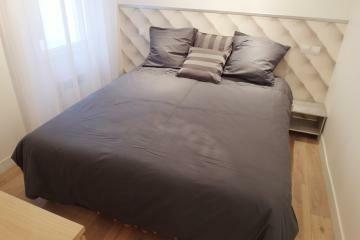 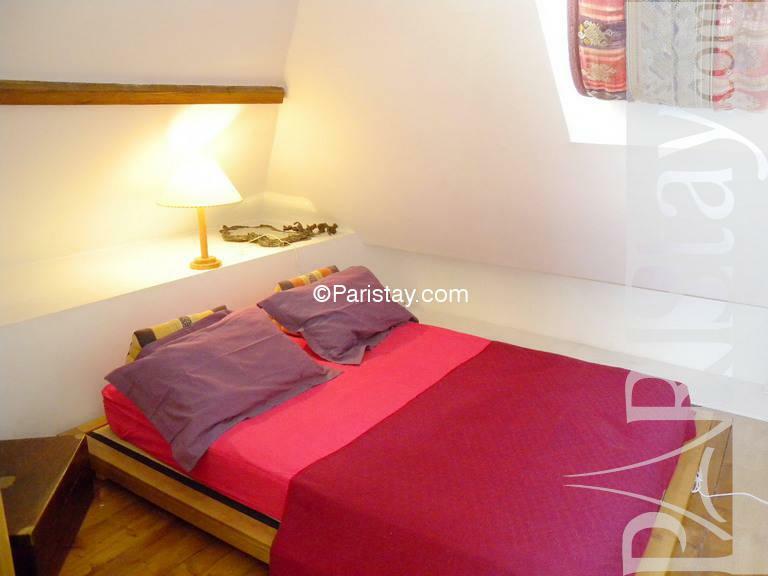 This fully equipped Paris one bedroom apartment with mezzanine, will give you the opportunity to enjoy a short or long term rental in Paris like a local. 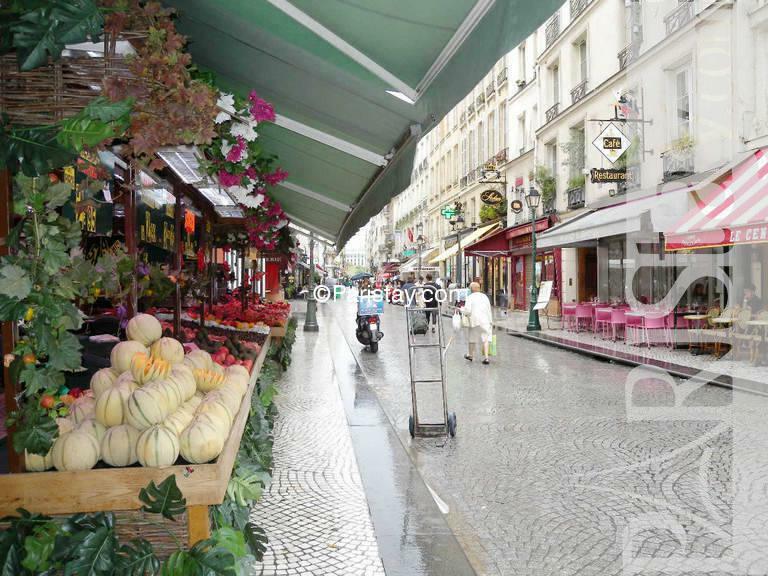 Situated in Montorgueil area, the location is very famous and central for its many museums, art galleries, restaurants and street market. 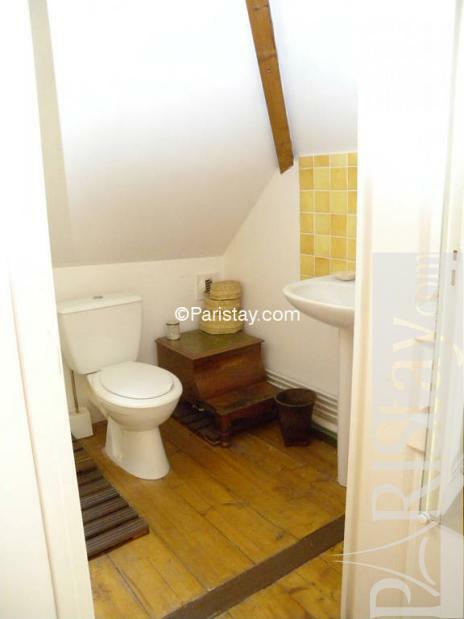 Ideally suited for 2 people. 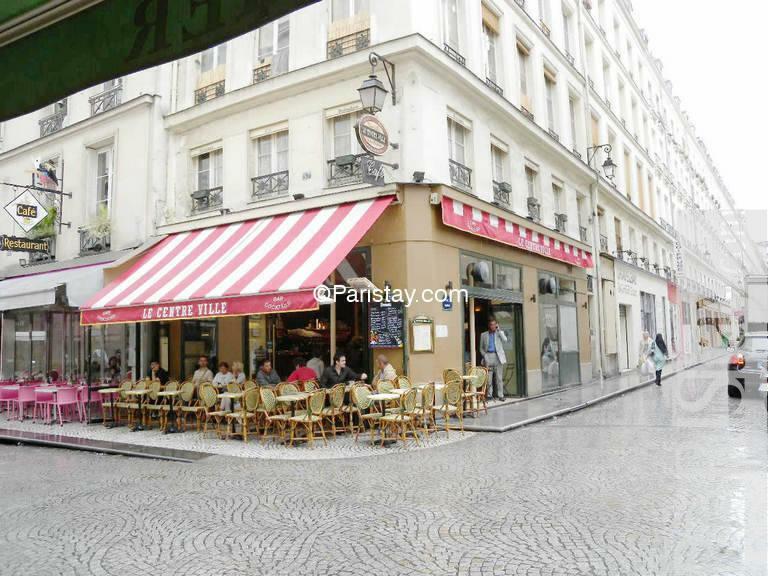 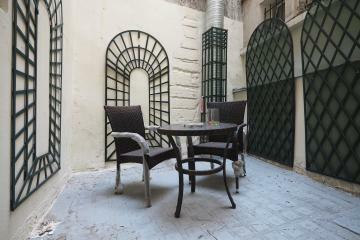 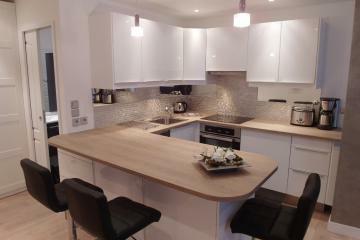 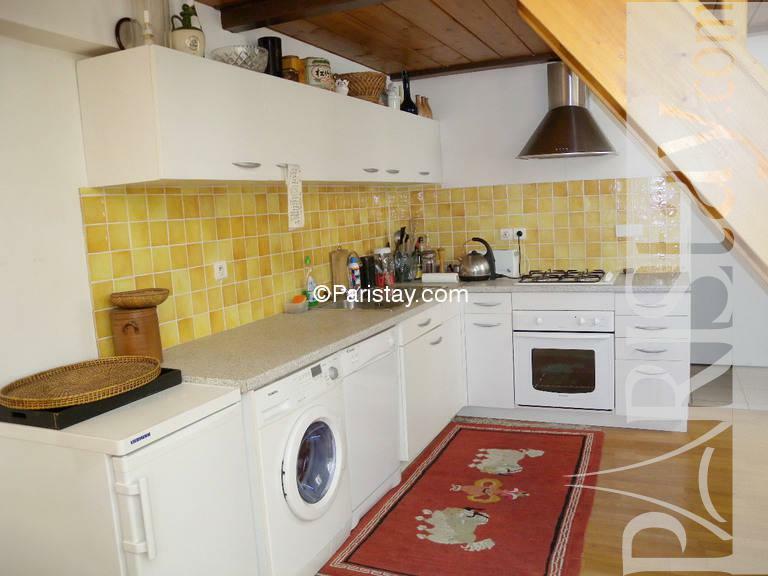 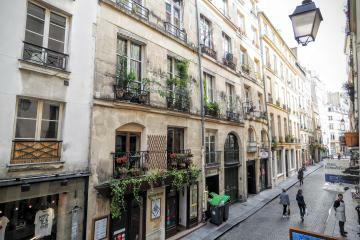 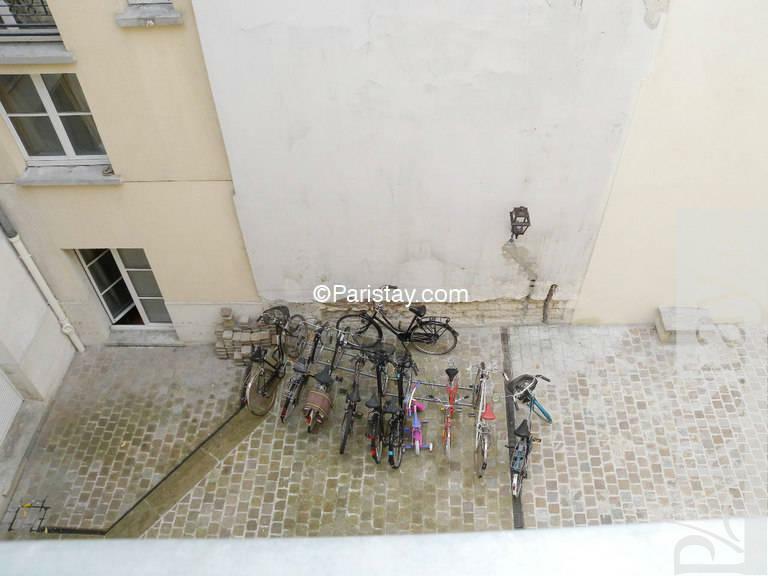 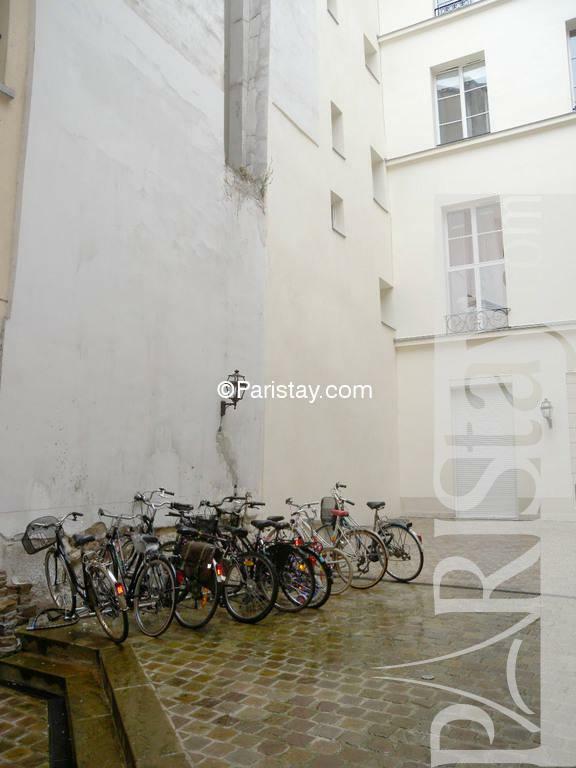 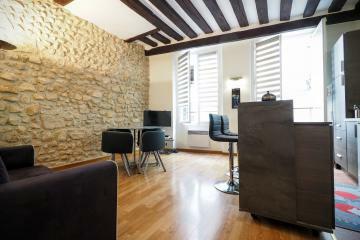 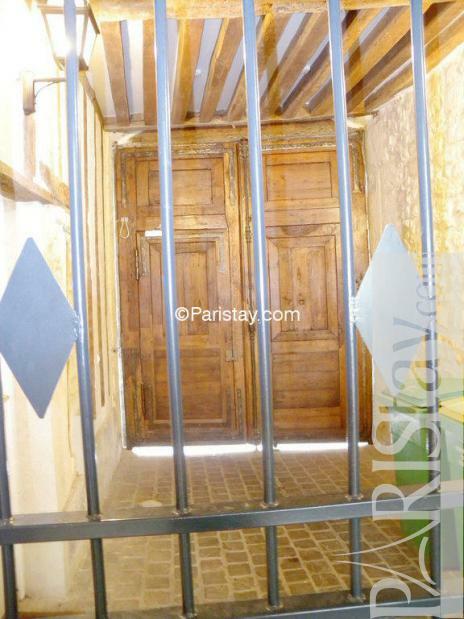 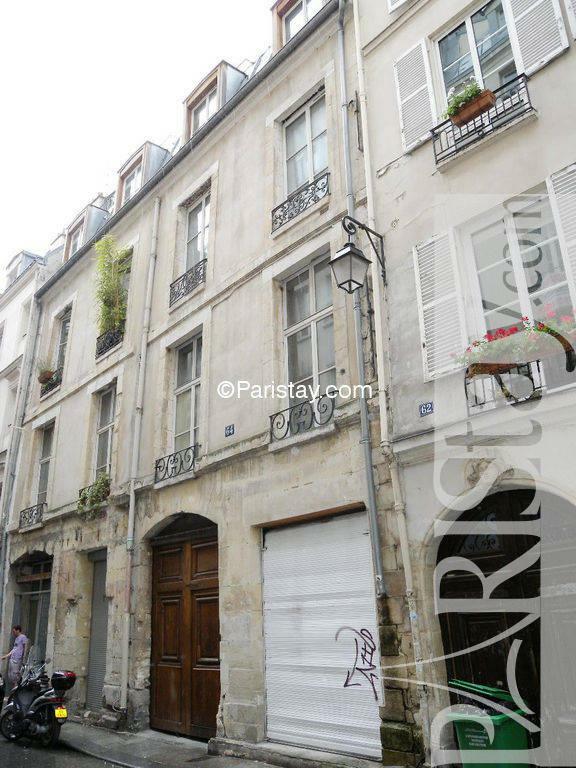 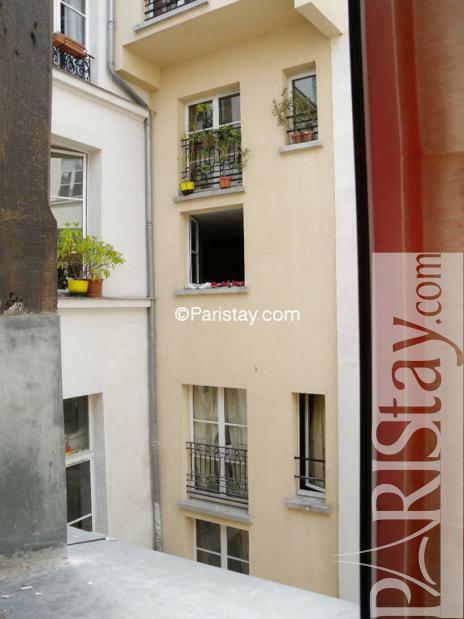 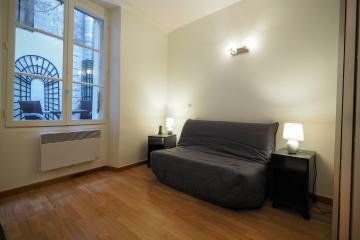 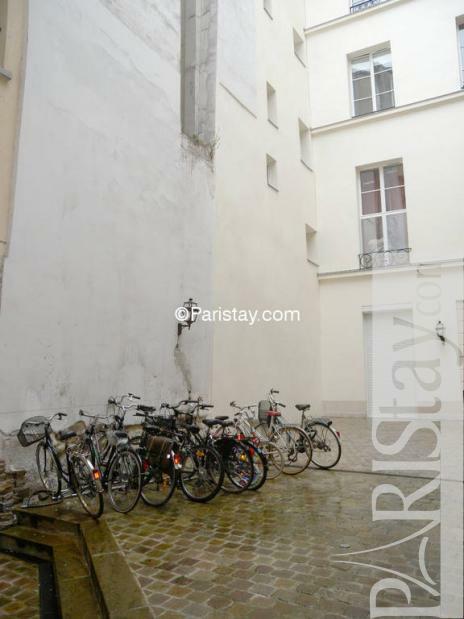 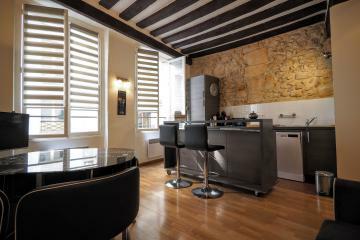 1680's Building, 2 nd floor, with Lift, entry code security system, 1 bedroom Appartement, furnished, Approx: 72m² / 774 Sq.Ft.